Ques. Are services supplied without consideration to a recipient other than ‘related party’ / ‘distinct person’ taxable? Ans. Section 7 of the CGST Act, 2017 read with Schedule I thereto provides that services supplied without consideration to related persons or distinct persons only would qualify as ‘supply’. Also import of services by bank from a related person or from any of its establishments outside India in the course or furtherance of business will be supply even if imported without consideration. 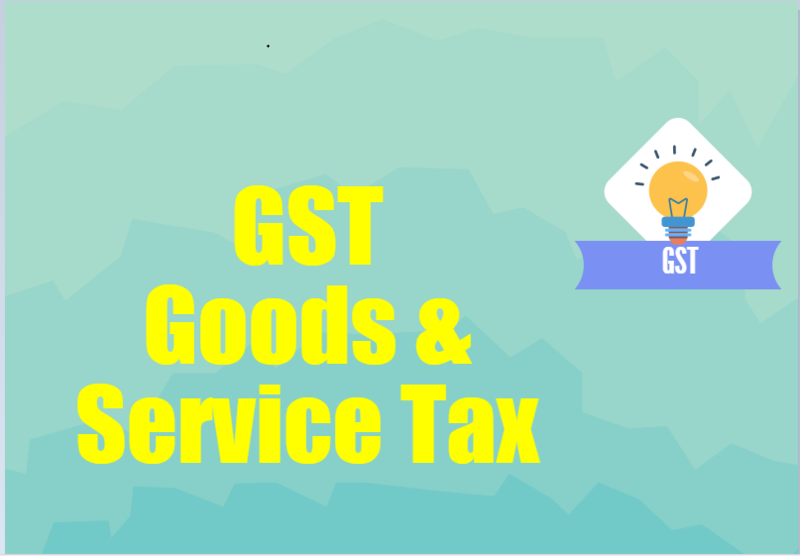 Therefore, where the services are supplied by a supplier without consideration to an unrelated recipient or a person other than a related or distinct person, the same would not amount to supply and not liable to GST. Ques. Can value of services be enhanced by invoking the CGST Rules in case of services provided by banks at a concessional / differential rate to a recipient other than ‘related party’ / ‘distinct person’? Ans. Banks provide various services to customers for a charge. However, at times, account holders / customers are provided services free or at a concessional / differential rate. The free or concessional / differential rate is offered considering factors such as credit rating and stability of the customer, size of relationship, expected future business or the opportunity presented in the market elsewhere etc. As a result, the charges for the same service may differ from customer to customer. Such services provided to persons who are not related persons will be taxable on the transaction value, that is, the value of the services charged or recovered from the customers or account holders as per section 15 of the CGST Act, 2017. Thus, in case of services provided at a concessional / differential rate to a recipient other than ‘related party’ / ‘distinct person’, there is no requirement for enhancing the value of services by invoking the CGST Rules, 2017. Ques. In the case of Banks which are not availing the reversal of ITC at 50%, how should inter-branch services be valued where open market value of services of like kind and quality is not available? Ans. In such cases, banks can adopt any reasonable basis consistent with Rule 30 and 31 of the CGST Rules, 2017. In Third Quarter the GDP growth rate is likely to further decelerate the current financial year, as compared to the first two quarters. Economists with independent agencies have pegged it at 6.7-6.9% against 8.2% for the first quarter and 7.1% for the sec­ond. Only EY India pegged it at 7.3-7.4%. The growth rate, along with the second advance estimates for FY19, is set to be released by the Central Statistics Office on Thursday. Britannia to replace HPCL on Nifty50 in stock reshuffle. SBI Research pegs Q3 GDP at 6.6-6.7%. India lacks good economic, jobs data. Adani wins bids to operate 5 AAI airports for 50 years. MFI loan book growth hits 43% at Rs 1.66 trn in Q3. Regulations against every telco except Jio. 2 cr jobs created in 16 months to Dec 2018. A/cs of IL&FS and its subsidiaries will not be declared NPA for now: NCLAT. GMR wins bid for Andhra’s Greenfield Bhogapuram Int’l Airport Project. EID Parry in talks with Indian Oil to start Compressed Biogas production. Etihad conditions may delay debt-laden Jet Airways resolution plan. Steel cos set to hike price for third time this month. New EPF subscribers’ monthly count hits a 16-month low in Dec.
Rabi sowing closes with record rice acreage of 49 lakh hectares. Lupin gets USFDA nod for anti-inflammatory drug. Thomas Cook India buys 51% stake in Digiphoto. Shilpa Medicare gets USFDA nod for cancer drug. Bharti Airtel board to meet on 28 February to consider fundraising plans. RBI extends KYC compliance norms by six months. India’s foreign direct investment inflows fall amid pre-election uncertainty. EPFO begins survey to assess quantum of fund parked in IL&FS bonds. Copper near 8-month high on deferred US tariff hikes. Funding, regulatory process haunts life sciences and healthcare startups. Proceed against Malvinder, Shivinder for Rs 472 crore fraud. Exporters group calls for providing export sops to more products. Real estate defaults could trigger next crisis for struggling Indian NBFCs. Sugar production may exceed demand of 26 MT in SS 18-19. Rupee strengthens by 17 paise against US dollar on easing trade war concerns. Insurers too got stuck in securitised debt deals. Goods and services exports to cross USD 500 bn this fiscal. Due date of TDS Return for the month of January 2019 is 28th February 2019. A taxpayer can file an appeal against an order passed by an appellate authority or against an advanced ruling by an appellate authority on the GST portal. He even has the option to file an application with the appellate authority in the case of rectification of a mistake in order passed. For affordable housing GST rate reduced from 8% to 1% & for other housing from 12% to 5%. Definition of affordable housing: 90 sq. Meter for non-metro & 60 sq. meter. For metro area. Cap on Cost of house to be qualified as affordable kept at Rs 45 Lakh for both non-metro and metro areas. A GST registration number can be obtained without the same. New businesses who are in the process of obtaining bank accounts can simultaneously proceed with GST registration, thus saving time. Claiming of ITC and amendment of B2B invoices of 17-18 are re-opened up till March 2019. Users can now amend B2B invoices of FY 2017-18. The facility to amend the GSTR-1 details of FY 17-18 was closed on filing the September 2018 return. The same has been made available while filing returns for the months of January to March 2019. Input tax credit of FY 2017-18 that was omitted and hence unclaimed up till September 2018 can be claimed now up to March 2019 as well. This was a much-needed remedy for taxpayers who made errors reporting any invoice in the past, or previously missed out claiming genuine credit. E-way bill data can be imported for GSTR-1. India to be 2nd-largest 5G market in 10 yrs. 347 infra projects show cost overruns worth over Rs 3.2 lakh cr. FPIs sell blue-chips take away Rs 30K cr. Unregulated Deposit Ordinance bans only Ponzi schemes not regulated deposits. Meeting adjourned from 20th Feb to 24th Feb 2019. Real estate sector is one of the largest contributors to the national GDP and provides employment opportunity to large numbers of people. “Housing for all by 2022” envisions that every citizen would have a house and the urban areas would be free of slums. There are reports of slowdown in the sector and low off-take of under-construction houses which needs to be addressed. To boost the residential segment of the real estate sector, following recommendations were made by the GST Council. GST shall be levied at effective GST rate of 5% without ITC on residential properties outside affordable segment. GST shall be levied at effective GST of 1% without ITC on affordable housing properties. The new rate shall become applicable from April 01, 2019. Definition of affordable housing shall be: A residential house/flat of carpet area of up to 90 sq. meters in non-metropolitan cities/towns and 60 sq. meters in metropolitan cities having value up to Rs. 45 lakhs. GST exemption on TDR/ JDA, long term lease FSI Intermediate tax on development right, such as TDR, JDA, lease FSI shall be exempted only for such residential property on which GST is payable. Details of the scheme shall be worked out by an officers committee and shall be approved by the GST Council in a meeting to be called specifically for this purpose. Details of the scheme shall be worked out by an officers committee and shall be approved by the GST Council in a meeting to be called specifically for this purpose. GST Council decided that the issue of tax rate on lottery needs further discussion in the GOM constituted in this regard. The decisions of the GST Council have been presented in this note in simple language for easy understanding. The same would be given effect to through Gazette notifications/ circulars which alone shall have force of law. The meaning of ITC can be easily understood when we take the words ‘input’ and ‘tax credit’. Inputs are materials or services that a manufacturer purchase in order to manufacture his product or services which is his output. Tax credit means the tax a producer was able to reduce while paying his tax on output. Input tax credit means that when a manufacturer pays the tax on his output, he can deduct the tax he previously paid on the input he purchased. Here, while paying the tax on his output, he can deduct or take credit for the tax he paid while purchasing inputs. Example: An example will make things much clear. Suppose that a readymade garment firm buys polyester (input) from a supplier (of input) at Rs 100 and a CGST of Rs 10 is also has to be paid (CGST rate of 10%). The price of polyester input will be Rs 110. Now the garment manufacturer sells the product at Rs 200 plus tax (means his value addition is Rs 100). Imagine that the GST rate of readymade shirt is 12%. Here, the manufacturer must pay a tax of Rs 24. But he has previously paid a tax of Rs 10 while purchasing the input of polyester. Hence, he can claim this Rs 10 and has to pay only the remaining Rs 14 (of the total Rs 24). The Rs 10 that the manufacturer claimed is the input tax credit. A steel utensils manufacturer who manufactures utensils like spoons, plates, etc. Assume that the manufacturer had bought an INR 500 worth of raw steel to make a pressure cooker and INR 100 worth other raw materials. Let’s assume that the GST for steel is 18%. Also, assume that the GST he paid is 28% of other raw materials. Input Tax Credit can be claimed on exports/zero-rated supplies and are taxable. All GST returns such as GST-1, 2,3, 6, and 7 needs to be filed. Suppose Mr. A is a seller. He sells goods to Mr. B. The buyer Mr. B is now eligible to claim the purchase credit using his purchase invoices. The details uploaded by Mr. A is automatically populated or reflected in GSTR-2A. The details of the sale are then accepted and acknowledged for by Mr. B, and subsequently, the purchase tax is credited to Mr. B’s ‘Electronic Credit ‘ He can use this to adjust it later for future output tax liability and receive a refund. 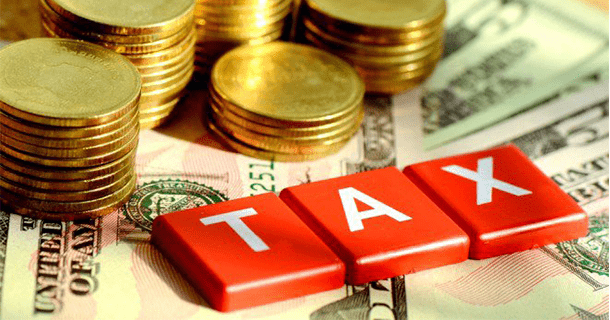 How to utilize the Input tax credit? In GST we have three types of taxes CGST, IGST, and SGST/UTGST. For the inter-state supply of goods/ services, IGST is charged. And for the intra-state supply of goods/services CGST and SGST/UTGST are charged. Since input credit will be available to the seller at each stage, the input tax credit is expected to bring down the overall taxes charged on the product at present. So, if input credit mechanism works efficiently, final consumers may see the cost reduction. Section 2(11) of CGST Act defines assessment as determination of tax liability under this Act and includes self-assessment, re-assessment, provisional assessment, summary assessment and best judgment assessment. The taxable person is required to pay tax on the basis of self-assessment done by himself. Hence, all GST return filings are based on self-assessment by the taxpayer. Provisional assessment can be conducted for a taxable person when the taxpayer is unable to determine the value of goods or service or both or determine the rate of tax applicable thereto. Step 1: The taxable person has to give, the concerned GST officer, a request for provisional assessment in writing. Step 2: The GST officer on reviewing the application, will pass an order, within a period not later than ninety days from the date of receipt of the request, allowing payment of tax on provisional basis or at a GST rate or on such value as specified by him. Step 3: The taxable person, who is making payment on provisional basis, has to issue a bond with a security promising to pay the difference between provisionally assessed tax and final assessed tax. Step 4: The GST officer will pass final assessment, with a period not exceeding six months from the date of communication of order of provisional payment. In case, after final assessment, the tax is held payable i.e. taxable person is held liable to pay more tax than tax paid at the time of provisional assessment, in such case, the taxable person will be liable to pay interest on such tax payment. Interest would be calculated from the actual due date of tax (please note original due date should be considered and not provisional tax payment date) till the date of actual payment of tax. 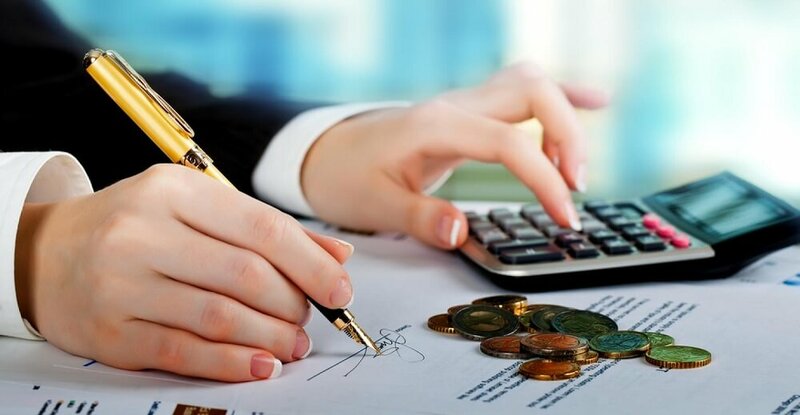 The interest calculation position will remain same, even if the payment of tax is done before or after final assessment. In case of refund, interest will be paid on such refund as provided under section 56. If the explanation provided is satisfactory, the officer will inform about the same to the registered person and no further action will be taken in this regard. If the explanation provided is not satisfactory or the registered person has failed to take corrective measures after accepting the discrepancies, the proper officer will initiate appropriate action like conducting audit of registered person, conducting special audit, inspect and search the place of business of registered person, or initiate demand and recovery provisions. When a registered person fails to furnish the required returns, even after service of notice under Section 46 an assessment would be conduced by the GST Officer. In such cases, the GST officer would proceed to assess the tax liability of the taxpayer to the best of his judgement taking into account all the relevant material which is available or which he has gathered and issue an assessment order within a period of five years from the date for furnishing of the annual return for the financial year to which the tax not paid relates. On receipt of the said assessment order, if the registered person furnishes a valid return within a period of 30 days from the date of issuance of assessment order, then in such case, the assessment order would deemed to have withdrawn. However, the registered person will be liable to pay interest under Section 50 (1) and/or liable to pay late fee under Section 47. When a taxable person fails to obtain GST registration even though liable to do so or whose registration has been cancelled under section 29 (2) but who was liable to pay tax, the GST officer can proceed to assess the tax liability of such taxable person to the best of his judgment for the relevant tax periods and issue an assessment order within a period of five years from the date specified under section 44 for furnishing of the annual return for the financial year to which the tax not paid relates. A GST Officer can on any evidence showing a tax liability of a person coming to his notice, proceed to assess the tax liability of such person to protect the interest of revenue and issue an assessment order, if he has sufficient grounds to believe that any delay in doing so may adversely affect the interest of revenue. In order to undertake assessment under section 64, the proper officer is required to obtain previous permission of additional commissioner or joint commissioner. Such an assessment is called summary assessment. Advance ruling” means a decision provided by the Authority or the Appellate Authority to an applicant on matters or on questions specified in Section 97(2) or Section 100(1) of the CGST Act, in relation to the supply of goods or services or both proposed to be undertaken or being undertaken by the applicant. “Applicant” means any person registered or desirous of obtaining registration. Provide certainty for tax liability in advance in relation to a future activity to be undertaken by the applicant. Attract Foreign Direct Investment (FDI) – By clarifying taxation and showing a clear picture of the future tax liability of the FDI. The clarity and clean taxation will attract non-residents who do not want to get involved in messy tax disputes. Reduce litigation and costly legal disputes. Give decisions in a timely, transparent and inexpensive manner. Seeking advance ruling does not include much cost. Opportunity of personal hearing can be granted to applicant. Helps the applicant in planning his activities which are liable for payment of GST, well in advance. Determining the tax liability well in advance. Binding on the applicant as well as Government authorities. Avoiding long drawn and expensive litigation at a later date. 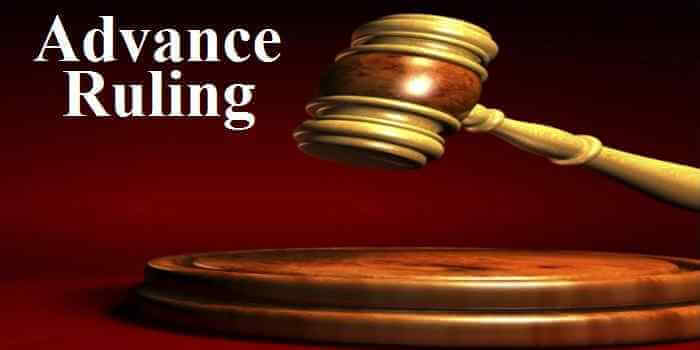 Seeking an advance ruling is inexpensive and the procedure is simple and expeditious. Certainty and transparency to a taxpayer with respect to an issue which may potentially cause a dispute with the tax administration. CGST Act – The Authority for Advance Ruling constituted under the provisions of SGST Act or UTGST Act shall be deemed to be the Authority for Advance Ruling in respect of that State or Union Territory. SGST Act - The State Government shall, by notification, constitute an Authority to be known as the Delhi State Authority for Advance Ruling. Provided that the Government may, on the recommendation of the Council, notify any Authority located in another State to act as the Authority for the State. UTGST Act - The Central Government shall, by notification, constitute an Authority to be known as the (name of the Union territory) Authority for Advance Ruling: Provided that the Central Government may, on the recommendations of the Council, notify any Authority located in any State or any other Union territory to act as the Authority for the purposes of this Act. (ii) One member from amongst the officers of State tax to be appointed by the State Government. The qualifications, the method of appointment of the members and the terms and conditions of their services shall be such as may be prescribed. The Central Government and the State Government shall appoint officer of the rank of Joint Commissioner as member of the Authority of Advance Ruling. Each State & UT will have its own Advance Ruling Authority. The Authority will comprise one member CGST and one member SGST. Such members will be of designation Joint Commissioner. An Applicant desirous of obtaining an Advance Ruling may make an application in such form and manner and accompanied by such fee as may be prescribed. An application for obtaining an advance ruling shall be made on the common portal in FORM GST ARA-01 and shall be accompanied by a fee of five thousand rupees, to be deposited in the manner specified in Section 49. Payment of fees can be made only using electronic cash ledger. Electronic credit ledger cannot be used for payment fee. (g) Whether any particular thing done by the applicant regarding goods/services will result in a supply. An advance ruling is first sent to Authority for Advance Ruling (Authority). Any person unhappy with the advance ruling can appeal to the Appellate Authority for Advance Ruling (Appellate Authority). Application for Advance ruling has to be made in FORM GST ARA-01 along with Rs. 5,000. The Authority can by order, either admit or reject the application. Applications will be rejected only after giving an opportunity of being heard. Reasons for rejection shall be given in writing. Advance ruling decision will be given within 90 days from application. If the members of the Authority differ in opinion on any point, they will refer the point to the Appellate Authority. Advance Ruling will have prospective effect only. If the law, facts of the original advance ruling change then the advance ruling will not apply. If the applicant aggrieved by the advance ruling he can appeal to the Appellate Authority. GST Council meeting on February 20 remained inconclusive after Some State Finance Ministers sought a physical meeting as they felt an issue as crucial as a special scheme for Real Estate Sector should not be discussed through a video conference. The meeting will now take place in Delhi on February 24. The Reserve Bank of India on Friday allowed bank exposures to all non-banking financial companies, excluding core investment companies, to be risk weighted according to the ratings assigned by the rating agencies. RBI had said it would consider this when it released its statement on developmental and regulatory policies on 7 February and is expected to facilitate the flow of credit to well-rated NBFCs. Exposures on rated as well as unrated non-deposit taking systemically important NBFCs other than asset finance companies (AFCs), NBFCs–infrastructure finance companies (NBFCs-IFC), and NBFCs–infrastructure development funds (NBFCs-IDF), are uniformly risk weighted at 100%. Exposures to AFCs, NBFCs – IFC, NBFCs–IDF and other NBFCs that are not NBFCND-SI are risk-weighted according to ratings assigned by the rating agencies accredited by RBI. Risk-weighted assets are used to determine the minimum amount of capital that must be held by banks and other institutions to reduce the risk of insolvency and the capital requirement is based on a risk assessment for each type of bank asset. It has been decided that exposures to all NBFCs, excluding core investment companies will be risk weighted as per the ratings assigned by the rating agencies registered with Sebi and accredited by the Reserve Bank of India, in a manner similar to that of corporates. Initial MSME 1 within 30 days from date of availability of form on MCA portal. One time DPT 3 within 90days from date of notifications i.e 20th April 2019. E form Active (INC 22A) on or before 25th April 2019. DIN 3KYC: on or before 30th April 2019. MSME 1 (1st half) on or before 30th April 2019. Annual DPT 3 on or before 30th June 2019. Annual Filling AOC 4 on or before 30th October 2019. MSME 1 (2nd half) on or before 30th October 2019. Annual Return MGT 7 on or before 29th November 2019. MCA has notified vide ‘Companies Amendment Rules, 2019’ fees for filing of new notified e -form ACTIVE. Fees – Nil for filing till 25.04.2019 and Rs. 10000/- for Filing after 25.04.2019. Merger of Vijaya Bank and Dena Bank with BoB to be effective from April 1. Bank of Baroda said the merger of Dena Bank and Vijaya Bank with itself would be effective from April 1 as per the scheme of amalgamation approved by the govt. The Reserve Bank of India (RBI) on Friday allowed bank exposures to all non-banking financial companies (NBFCs), excluding core investment companies (CICs), to be risk weighted according to the ratings assigned by the rating agencies. RBI had said it would consider this when it released its statement on developmental and regulatory policies on 7 February and is expected to facilitate the flow of credit to well-rated NBFCs. Exposures on rated as well as unrated non-deposit taking systemically important NBFCs (NB F C-N D-S I), other than asset finance companies (AFCs), NBFCs–infrastructure finance companies (NBFCs-IFC), and NBFCs–infrastructure development funds (NBFCs-IDF), are uniformly risk weighted at 100%. Exposures to AFCs, NBFCs – IFC, NBFCs–IDF and other NBFCs that are not NBFCND-SI are risk-weighted according to ratings assigned by the rating agencies accredited by RBI. Risk-weighted assets are used to determine the minimum amount of capital that must be held by banks and other institutions to reduce the risk of insolvency and the capital requirement is based on a risk assessment for each type of bank asset. “It has been decided that exposures to all NBFCs, excluding core investment companies will be risk weighted as per the ratings assigned by the rating agencies registered with Sebi and accredited by the Reserve Bank of India, in a manner similar to that of corporate. Due Date of GSTR 3B has been Extended upto 22nd February 2019. DIRECTORATE OF INCOME TAX (SYSTEM) issued Instruction No. 6 dt. 20-02-2019 regarding Processing of Return of AY 2017-18 and Issue of notice for prima facie adjustment under 143(1)(a). CBIC vide Notification No. 09/2019-CT dt. 20-02-2019 extended the last date of filing GSTR-3B for the month of January, 2019 up to 22.02.2019. 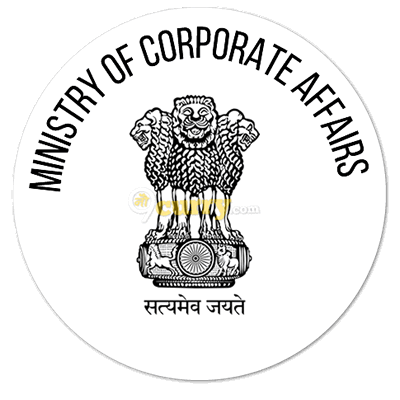 MCA Notification dated 19-02-2019 Central Government makes the following rules, further to amend the Companies Rules, 2014 and also to amend the Companies. Supreme Court of India in the case of Ram Siromani Tripathi & Ors. Vs State of U.P. & Ors. Held that No adjournment on the ground of non-presence of counsel in court. Non-filing of appeal changes character of protective additions to substantive additions. DCIT Vs M/s Nirala Housing Pvt. Ltd.
Moody’s upgrades outlook on Yes Bank to stable. IL&FS probe ED registers money laundering case. India to remain fastest growing economy. FDI during April-Dec 2018-19 falls 7% to $33.49 Billion. to infuse Rs 48,239 cr. in 12 PSBs Corporation Bank gets Rs 9,086 cr. Saudi Aramco in talks with Reliance Industries, others to invest in oil. FinMin expects bad loan recoveries to touch Rs 1.80 trillion in FY19. France court orders UBS to pay $5.1 billion for Swiss accounts scandal. Govt calls meeting next week on mandatory hallmarking of gold jewellery. Supreme Court holds Anil Ambani guilty in Ericsson case. Alembic Pharma gets USFDA nod for glaucoma drug. IRDAI spells out draft norms of standard mediclaim policy. Aviation industry is challenging, says Naresh Goyal. Lite Bite Foods to buy 4 restaurant brands from Phoenix Mills Group arm. TCS recognised as a global top employer. I have always said ‘yes’ to opportunities and experiences. The government announced a series of changes aimed at freeing investors and entrepreneurs from the so-called angel tax that’s roiled India’s startup ecosystem. It raised the exemption threshold and kept investments by listed companies of certain minimum size, venture capital funds and non-residents in startups outside the ambit of the tax. A notification issued by the government also widened the definition of startups to benefit a larger number of innovators and protect them from the tax. An entity that has been in operation for up to 10 years from its date of incorporation or registration will be considered a startup instead of the current seven years. The investment limit was raised to Rs 25 crore from Rs10 crore now for availing of tax exemption. “Considerations of shares received by eligible startups for shares issued or proposed to be issued by all investors shall be exempt up to an aggregate limit of Rs 25 crore. The Rs 25 crore limit will exclude funds from certain sources. These include non-residents, Category 1 registered alternative investment funds and frequently-traded listed companies with a net worth of Rs 100 crore or turnover of at least Rs 250 crore. The development comes in the wake of startups having been served demands for taxes on angel funds received by them. The new norms don’t address cases in which tax demands have already been raised. “In cases where demand notices have been raised, we have directed the tax officers to not enforce recovery of demand. The increase in investment limit to Rs 25 crore and self-declaration procedure with DPIIT are game changers for the startup fraternity. Compulsory mentioning of the Place of Supply in case of Interstate supply to Unregistered Person. CBIC mandates the reporting of all inter-State supplies made to unregistered persons in Table 3.2 of FORM GSTR-3B and Table 7B of FORM GSTR-1. The Central Board of Indirect Taxes & Customs in its Circular No. 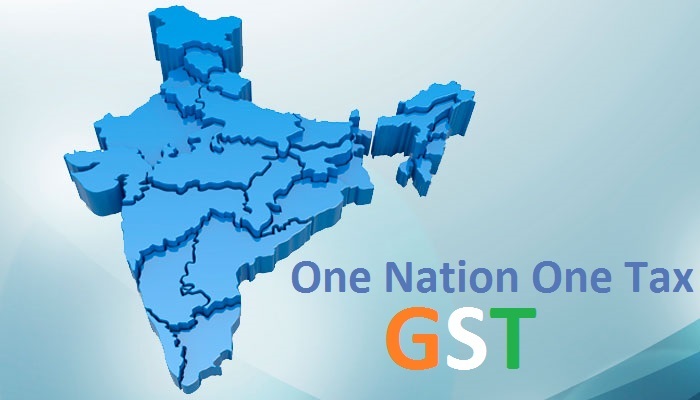 89/08/2019-GST dated February 18, 2019 it shows that the registered persons making inter-State supplies to unregistered persons, composition taxable persons and UIN holders shall report the details of such supplies along with the place of supply of FORM GSTR-3B and the details of all inter-State supplies made to unregistered persons where the invoice value is up to Rs 2.5 lakhs are required to be reported in Table 7B of FORM GSTR-1 as mandated by the law. RBI May launch exchange traded fund of PSU bank stocks next fiscal. I-T for charging GST on logo use by subsidiaries. Yes Bank denies any wrong-doing in making report public. National electronics policy eyes 1 cr jobs. Arcelor Mittal buys back shares worth $89 million. Walmart Q4 profits jump 69.5% to $3.7 bn, top estimates. Irdai asks all non-life insurers for a uniform standard health product. WTO pegs global trade at 9-yr low; India exports may face repercussions. Govt raises investment limit for angel tax concession to startups. SIP closure ratio at 18-month high, Dec applications slip to 750,000. Honda to close only UK factory, blames global trends. Reliance Power promoter’s eye 2,500 cr from sale of 18% stake. Vedanta says no revised bid for Essar Steel. I-T dept raids Divi’s Lab premises. Wheat output may cross 100 mt. SEA in pact with Argentinian body to boost vegoil trade. ABB bags 270 cr. orders from Railways. reverts back to old system of awarding oil and gas blocks. Cabinet clears promulgating fresh ordinance for company’s law amendments. SC to pronounce order on Ericsson’s contempt plea against RCom chief Anil Ambani. Jaypee Infra’s promoter makes second attempt to settle dues. Bad loans: 19 PSBs write off nearly Rs 41,000 crore in Q3. Insolvency process: Gaur offers to clear Jaypee Infra dues of Rs 8,358 crore. Vedanta to file fresh writ in High Court Sterlite Copper row. French aerospace firm Safran to have engine plant in Hyderabad. JSW Cement to invest Rs 2,000cr to take capacity to 20mt by’20. Sensex falls for 9th straight session, ends 146 points lower. India’s fuel demand rose 6.4 per cent year-on-year in January. Brent oil eases from 2019 highs as markets await trade talk’s outcome. No PAN is required for transfer of equity shares of listed entities executed by non-residents to their Immediate Relatives. Now INDIAN COMPANIES who are in CIRP process can use ECB to repay their rupee term Loan. Due dates of GSTR-3B (summary return of January) for the month of January 2019 is 20th February 2019. Prospective application of Black Money – the Act of 1961 does not impose a punishment of imprisonment while the Act of 2015 does. In such circumstances, it cannot be said that, the petitioner has been sought to be punished twice for the same offence – Calcutta High Court. Penalty u/s 271D and 271E – If loan in cash is taken once or twice, in exceptional exigencies, may be a ground for interference, but when the fact remains that a lender not even licensed was illegally giving loans only in cash and accepting repayment in cash cannot be a ground for condonation of regular transaction with such unauthorised lender – Madras High Court. DCIT, Circle 19 (1) New Delhi Vs. M/S Oxigen Services(P) Ltd.
Depreciation on POS terminals – assessee was entitled to the depreciation at 60% on the ground that the equipment was akin to a computer – ITAT Delhi. 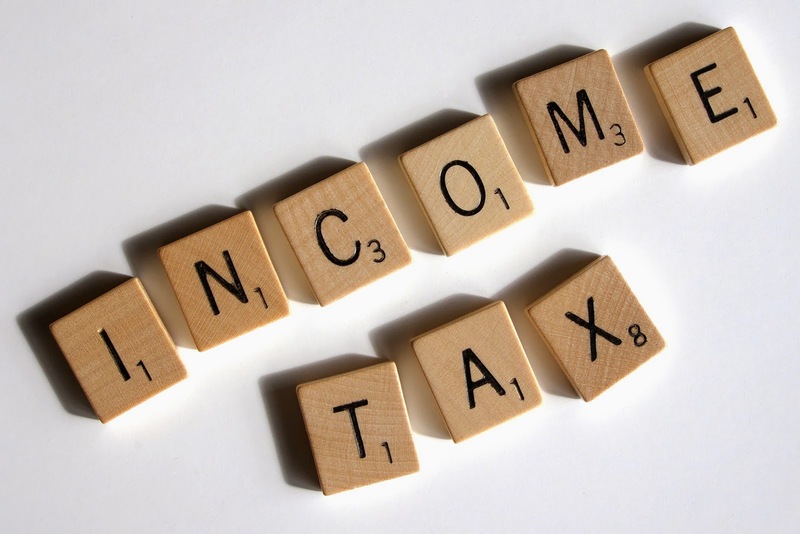 Levy of penalty levied u/s 271(1)(c) – disallowance under section 40(a)(ia), does not amount to concealment of income – No penalty – ITAT Mumbai. Two new features in the Official Website including System Generated Acknowledgement of Application of Appeal and the Population of Data from EWB System into Form GSTR-1. The Directorate General of Goods and Services Tax Intelligence has unearthed a fraud worth a whopping Rs 1,000 Crore in the state of Chhattisgarh. The GST officials said that such traders are on their radar and the GST intelligence department is keeping a close tab on the tax evaders. GOM panel set up to Review Tax Rate on lottery favours a uniform GST rate of either 18% or 28%– a final call on which would be taken by the GST Council at its meeting on February 20. Currently, a State-Organised Lottery attracts 12% GST while a State-Authorised Lottery attracts 28% tax. CBIC issues Clarification regarding tax payment made for Supply of Warehoused Goods while being deposited in a Customs Bonded Warehouse for the period July, 2017 to March, 2018. CBIC vide it’s Circular No:89 dated 18th February 2019 seeks to clarify situations of mentioning details of inter-State supplies made to unregistered persons in Table 3.2 of FORM GSTR-3B and Table 7B of FORM GSTR-1. The Reserve Bank of Indiawill pay Rs.28,000 crore as interim dividend to the government, which will help the Centre meet its revised budget estimates that include an allocation for the first ever income transfer to farmers and burnish its fiscal credentials ahead of the general elections. RBI in its Board Meeting on February 18 decides to transfer Rs 28,000 Crore as Interim Dividend to the Govt for the period of July to December 2018. The interim surplus has been decided after a limited Audit Review and after applying the Economic Capital Framework. 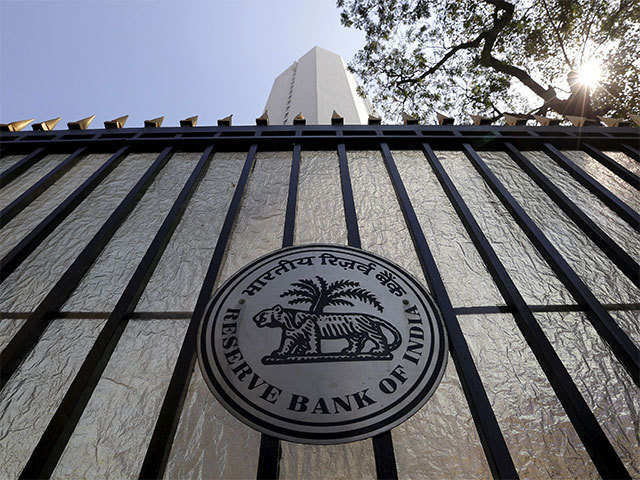 RBI Governor Shaktikanta Das will meet top officials of state-run banks and Private Sector Lenders later this month to discuss the issue of transmission of the RBI’s rate cut move to the wider economy. RBI will inject Rs 12,500 Crore into the system through Purchase of Government Securities on Thursday which is Feb 21 to increase liquidity. The purchase will be made through Open Market Operations. Due dates of GSTR-3B (summary return of January)for the month of January 2019 is 20th February 2019.